Recently, a photographer by the name of Dan Giannopoulos spent some time at the shelter. 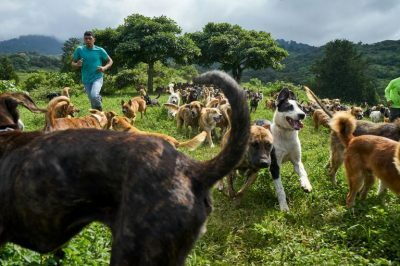 “To look out and see hundreds of dogs running across the field was completely breathtaking to me. I’ve never seen anything like it,” says Giannopoulos. The shelter is about an hour away from San Jose. It has 378 acres of mountain land, plenty of space for the dogs, their visitors, and the employees and volunteers. 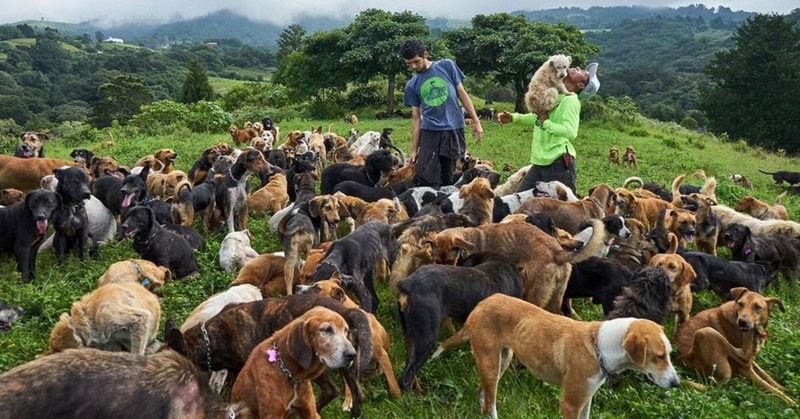 The founders, Lya Battle and Alvaro Saumet began by taking in strays at their house. 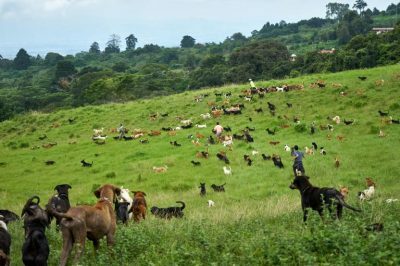 Once they had 100 dogs, they moved them to a farm owned by Battle’s grandfather. 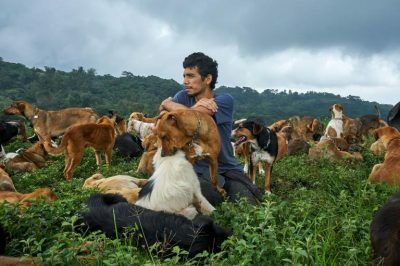 They are currently trying to get non-profit status from the government of Costa Rica. Altogether, they dogs eat 13 bags of dog food a day, the 66-pound size. 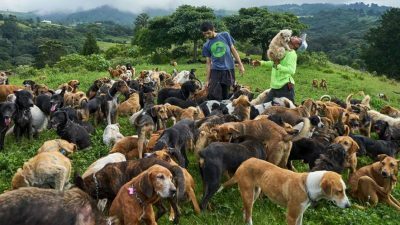 And after 11 dogs were found dead recently, they suspect the neighbors are trying to get rid of the shelter through any means necessary. But for the dogs, this is an ideal place to live. An idyllic mountain scene covered in dogs of various colors, shapes and sizes. What’s not to love?